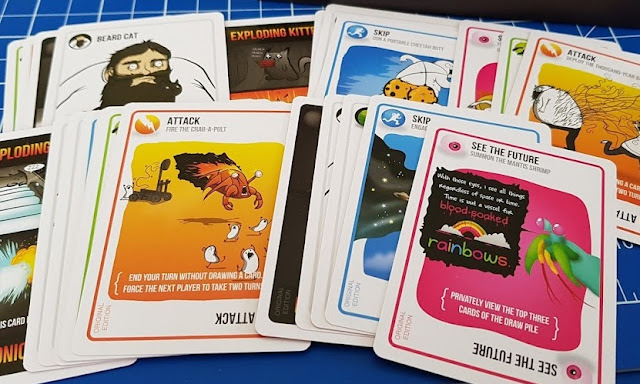 There are a few types of cards and most are used as the draw pile. Before you start, you remove the 6 x Defuse Cards and the 4 x Exploding Kittens Cards. Shuffle the rest of the pack and then give every player 7 cards, plus a Defuse Card. Add any leftover Defuse Cards back into the deck, along with 1 less Exploding Kitten card than the number of players playing (e.g. 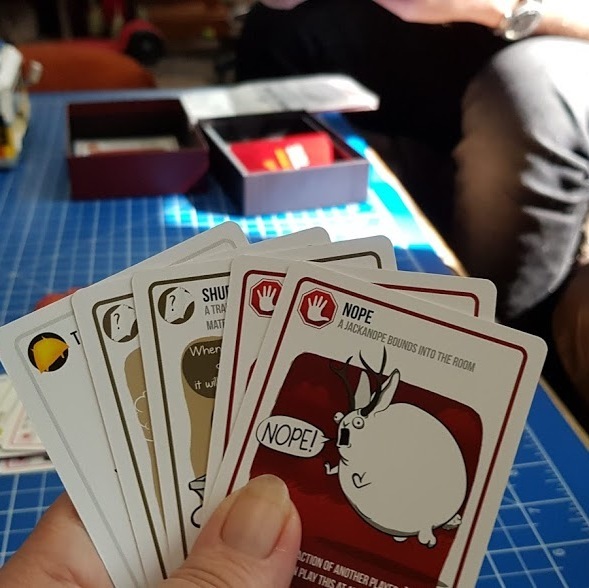 4 players, 3 Exploding Kittens). Players take it in turns to be the active player. 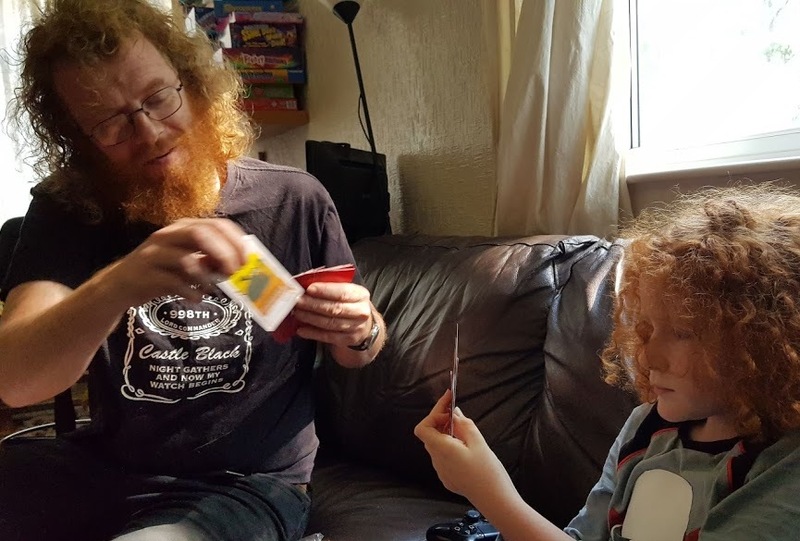 When it's your turn, you are allowed to play as many of the cards in your hand as you like by placing them, in turn, on the discard pile and following the instructions each time. If you have an action card or a pair you can put them down for example. You can also choose to 'Pass' and play no cards. At the end of your turn you draw a card from the pile. 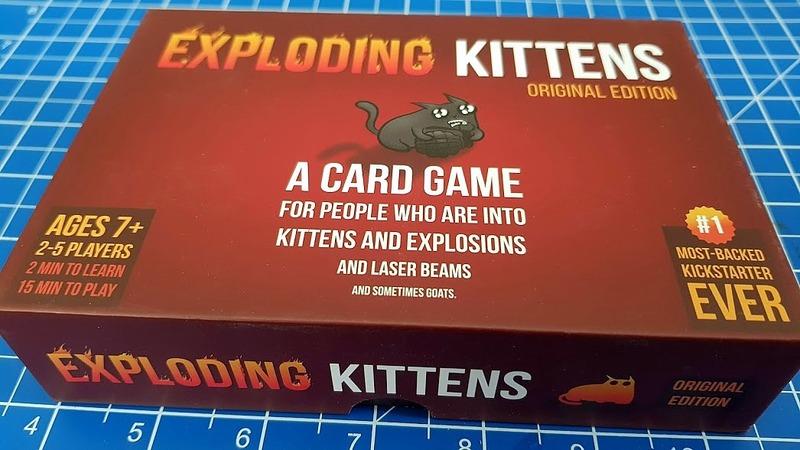 If you draw an Exploding Kitten, you are out unless you have a Defuse Card. This feels really harsh at the time, but a game is so swift that you'll soon be back playing. A good lesson for younger players, and the element of chance that leads the game. Exploding Kittens are the only cards returned to the draw pile and all but one of the players will eventually explode. 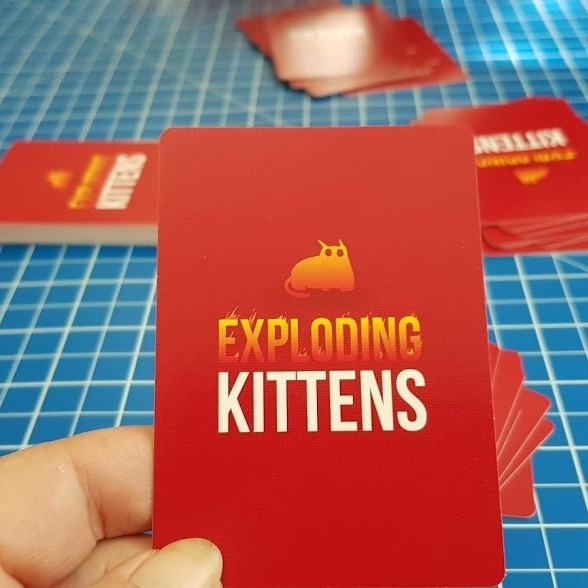 Exploding Kittens had the no.1 most backed kickstarter campaign ever when it launched, and I can see why. The illustrations are modern and witty, with funny cats in funny situations, and very appealing. We were all too busy looking at the cards to even start playing for the first 10 minutes. Game play is very simple - follow the instructions on the card that has been drawn and it'll let you know what to do. If you don't explode, you win. A brilliant game to play with family of all ages 7+. We played with our 8 and 9 year olds and we all won at least once. We all laughed a lot too - and probably pulled mardy faces when we were given an order to draw extra cards and risk exploding. Exploding Kittens is lots of fun, ideal for teenagers as well as adults and children. Distributed in the UK by Asmodee and available to buy now rrp £28.99, currently reduced to a bargain £19.99 on Amazon (affiliate link, see below). 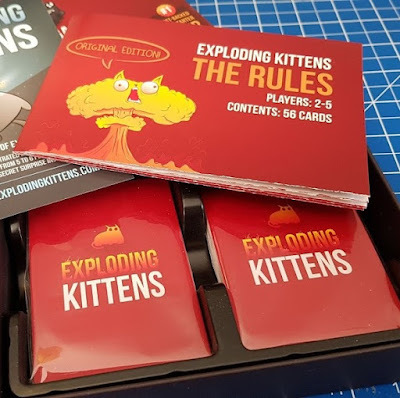 We were sent our copy of Exploding Kittens for review for the Blogger Board Game Club. The Amazon link is an affiliate link, and I earn a few pence if you order through my link. My aim is to collect all my earnings until I retire at 87, then I'm buying a yacht. It may have to be LEGO, but I'll sail that blighter.